The Tree is the living representation of a deity. First one must find a suitable tree in Wao Akua and ask for permission to bring the tree down to the sea with an offering of kūmū fish from the sea, thus honoring the ancestors and acknowledging the balance and connection between all things in nature- from the mountains to the sea. The lipo/mud is the source of all life. During the creation of a surfboard, one might bury it in the lipo to instill the carved tree with new life. At the same time, the process cures the wood and as it dries, it finds it's shape. In the Hawaiian creation chant called the Kumulipo, all life emerges from the pō, darkness. Again, in the duality of all things, we find balance in recognizing the oneness. Surfboards, papa heʻe nalu, are an extension of ourselves. In this way, they acquire our mana and carry our soul into our future. Thus, surfboards are special objects, heirlooms connecting us with our past and future. Guided by our ancestors whom are our our papa, ​our foundation, and through the self, we interact with the waves of energy moving through the universe--always positioning, flowing, striving. To the Surf Professor, surfing is riding the boundary of culture and nature. 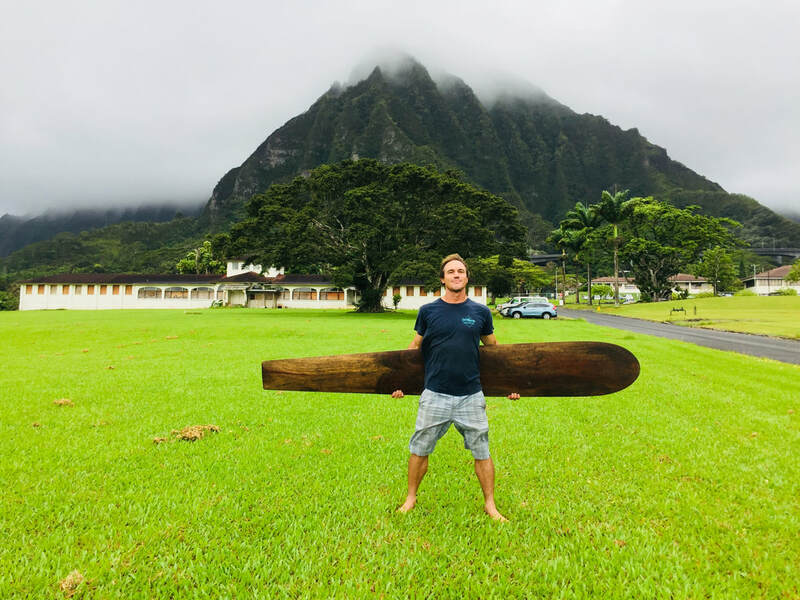 The board is the vehicle upon which you express yourself in a body-centric manner on the wave, ka nalu, striving for success on the currents, ke au, of the sea. Mana is your ability to flow with the currents that abound in the universe. So, literally and spiritually, we surf through space and time. Discuss Surf History, evolution of the surfboard, and hear myths and legends of the Pacific Region.